Find out more about the Governor-General’s Prize for 2015. 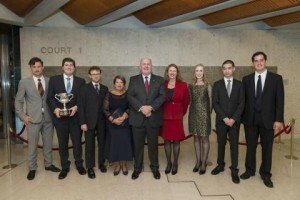 His Excellency, the Governor-General of Australia, Sir Peter Cosgrove AK MC with the 2014 prize winners, see more on CEFA’s website. This year the Constitution Education Fund Australia celebrated the 10th Anniversary of the Governor-Generals Prize – Australia’s most prestigious essay competition.